Yesterday morning, when I returned from my beach walk, I sat down to enjoy a second cup of copy. 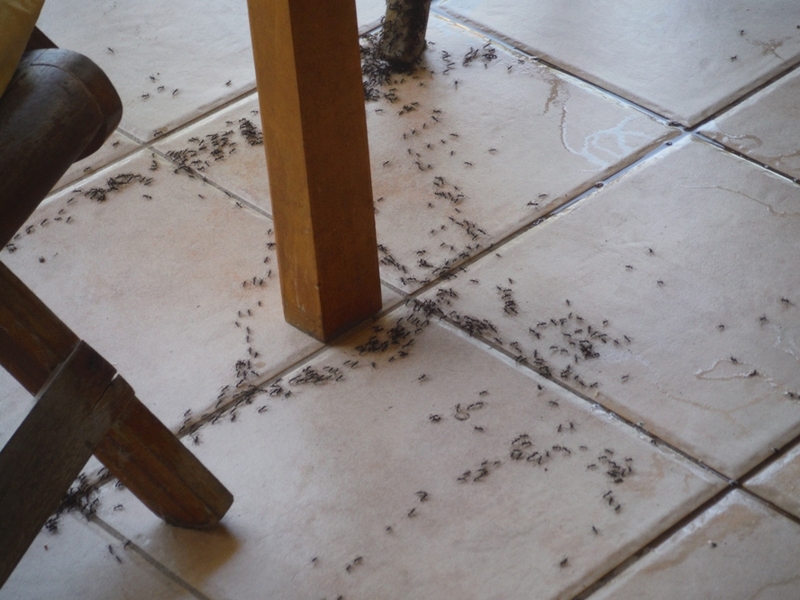 In the few minutes I sat on a stool at the kitchen counter, the house was invaded by “cleaner ants”. 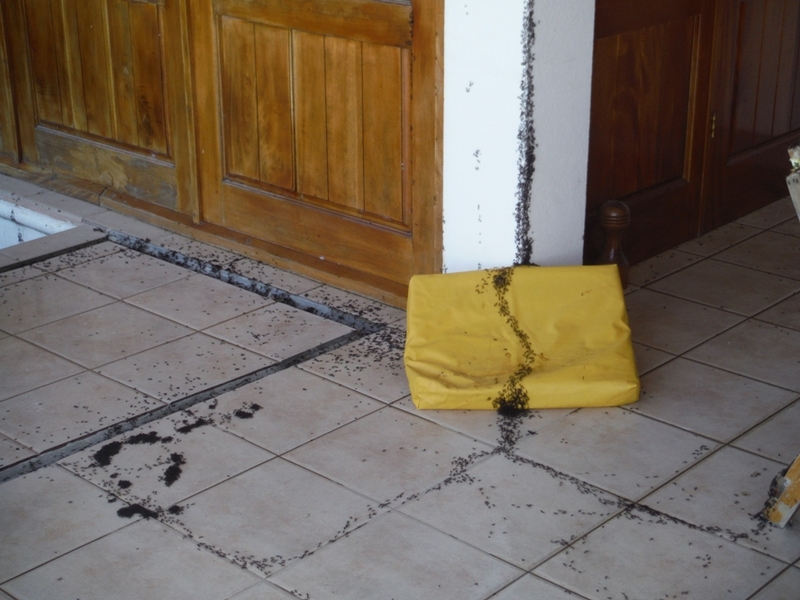 When I put my foot down, I found the floor black with trails of pincer-bearing insects. 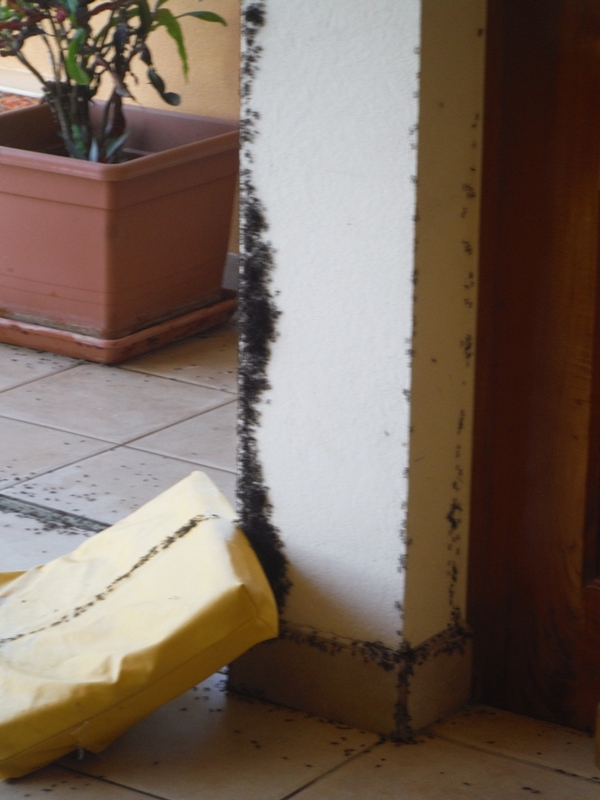 They come to clean, carrying off all bits of organic matter, dead insects and excrement, dust bunnies, and crumbs. In the time it took to grab the jug of soapy water I keep under the sink, I was bitten a dozen times. And those bites hurt. 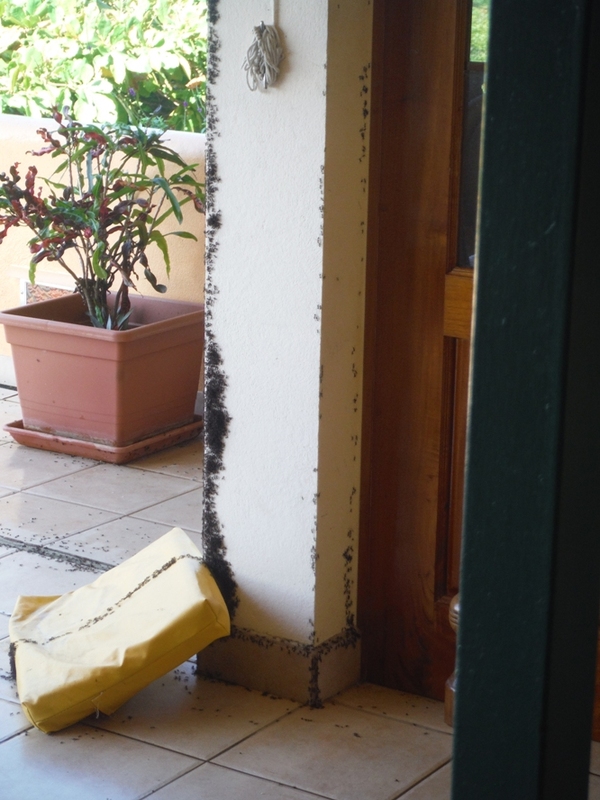 I soaped the door thresholds which encouraged the ants to leave the house. 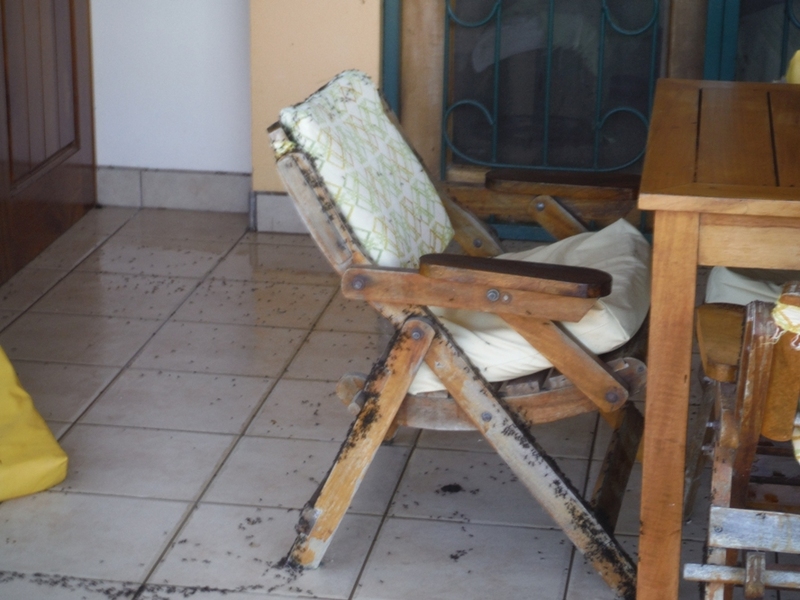 They continued their work on the terrace, covering the floor, walls, and furniture for about an hour. Then they were gone. 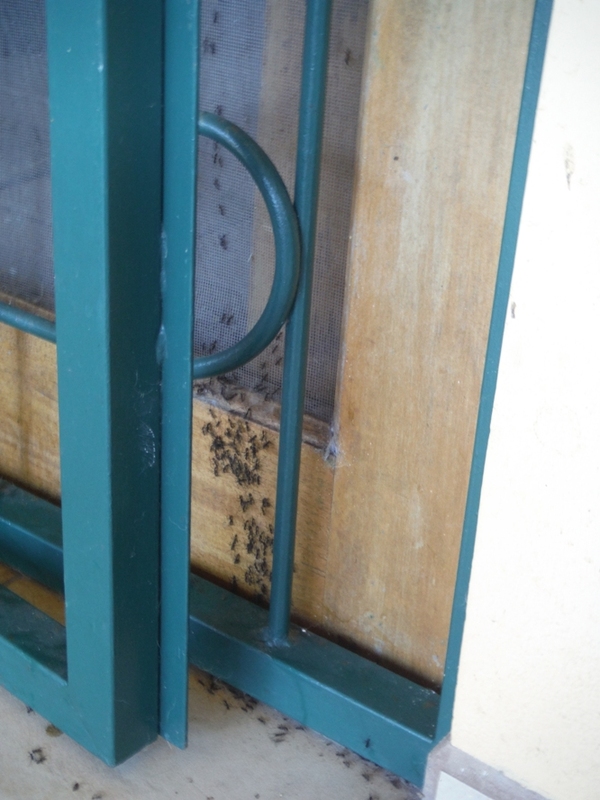 And the terrace was clean except for the ants I killed with soap. If I hadn’t soaped, I wouldn’t have had to sweep. whoa, what a river of ’em! 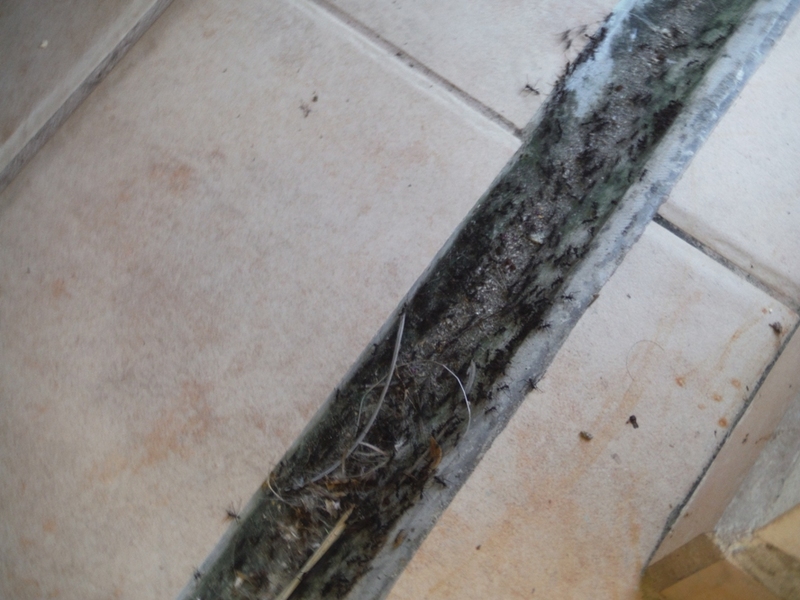 So that explains how the house was so incredibly clean when we arrived a week later! I have come to accept them and let them do their thing! You had a lot in your place!!! 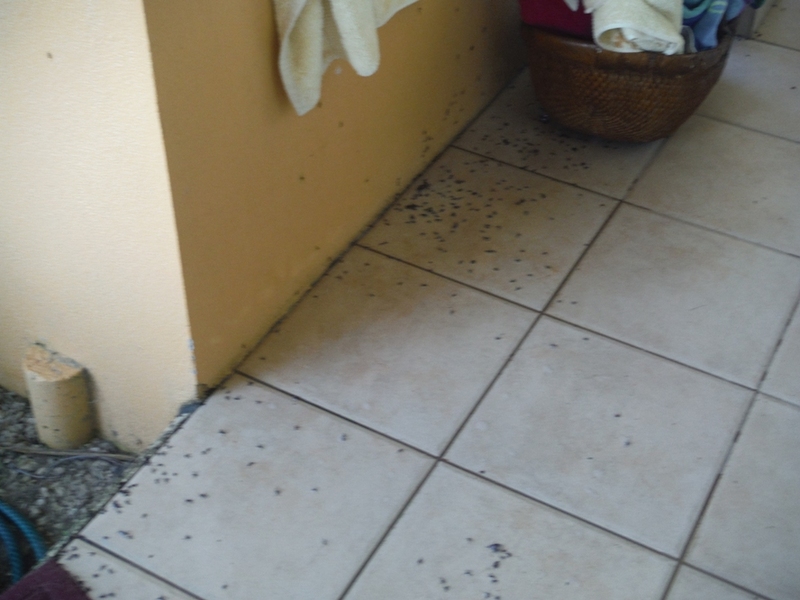 Carl called this AM with the news that he had stepped in the middle of a march of ants & was bit innumerable times. Freddy prescribed Prednisone & Allegra. Carl says his legs are “all swollen”, he’s dizzy & in a lot of pain. They must be moving up & down Sta Domingo Road! Carl may be allergic. I find them really annoying but not poisonous to me. Hope he feels better soon.